Prepare to fall in love with Emma Thompson all over again in this emotional and complex story about a woman charged with making life and death decisions. Fiona (Thompson) is a British High Court judge who rules on the most difficult cases – such as whether to separate conjoined twins in order to save one — instead of allowing both to die. 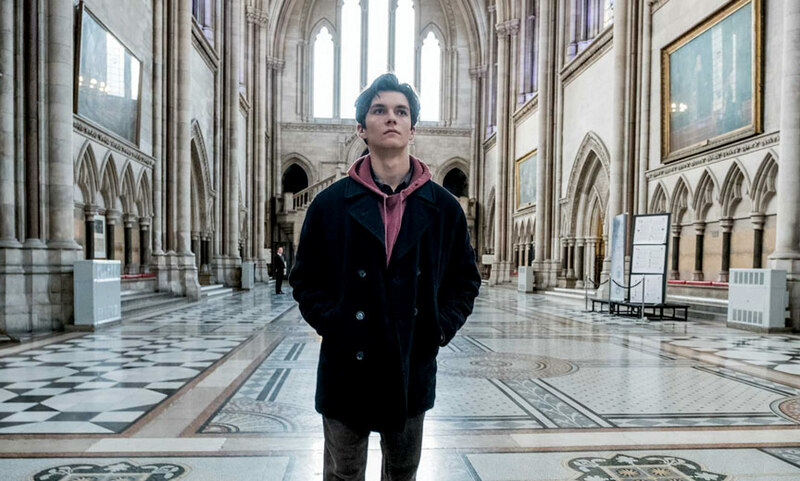 Her latest case, whether to force a life-saving blood transfusion on a 17-year-old (queer actor Fionn Whitehead – Dunkirk) with leukemia despite his refusal brought on by his religious beliefs as a Jehovah’s Witness. In just a couple months he’d be able to legally decide for himself, but until then his fate is up to Fiona, who makes the unusual choice to visit the boy in the hospital. In doing so, she accidentally links herself to the intelligent and spirited young man in a way that she cannot control, just as she is struggling with the disintegrating relationship she has with a long-neglected husband (Stanley Tucci). Cracklingly intelligent writing combined with precision acting are the foundation of this tale by Richard Eyre (Notes on a Scandal, Iris) adapted by Ian McEwan from his own novel.